If you need computer desks for your office or home in Alpharetta, Woodstock, Sandy Springs, or any other communities near Atlanta, Georgia, you’ve come to the right place – NorthPoint Office Furniture. At our luxurious showroom located in the heart of Roswell, you’ll see the massive selection of new and gently used office furniture we provide. We have full displays to help you envision what the furniture will look like in an office or home setting, and you’ll be able to feel, sit at, and try all of our pieces of furniture to make sure they meet your needs. When you make a purchase from NorthPoint Office Furniture, not only will you receive our quality products, but you’ll also benefit from our unparalleled customer service. Because we appreciate your business, we include assembly of all the office furniture you purchase from us at no additional cost. We also honor all manufacturer warranties and will repair your furniture if it ever becomes damaged. 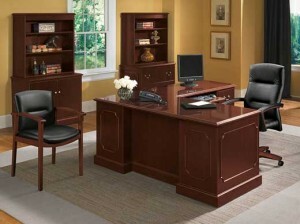 For more information about the computer desks, desk chairs, workstations, or other office furniture we supply for businesses and homeowners in Alpharetta, Woodstock, Marietta, Roswell, and the surrounding Atlanta, Georgia, area, contact NorthPoint Office Furniture today.